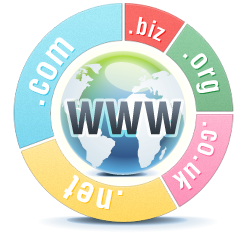 Build a 3 page website using our Domain Homepage Builder, you can do this the instant your domain name is registered or transferred to us. Homepage builder comes free with all domain names, no hosting service is required. Your homepage can contain up to three web pages, simply choose your desired homepage style from our selection of design layouts and then enter your web site content and contact details for each of your web pages. Hit “Publish”. Your web site is online. Yes, that’s all there is to it. This is a the perfect solution to getting a mini three page website online quicker than you can imagine! And as with all of our services, there are no additional, hidden or ongoing fees. We’ve made the Homepage Builder very easy to use. Simply select your desired layout, enter your page details, enter your desired page text or HTML and hit the ‘Save and Publish’ button. Your site is online in an instant. Perfect to get a basic web presence going straight away with no expense. Your domain needs to be parked – not hosted, in order to use Homepage builder. To use the Parking Features, you need to ensure your domain name is parked. By default, all domain names are parked unless you have changed the nameservers from their defaults. If you are not sure it is easy to Check if your Domain Name is parked. Are the Homepage Mini Sites search engine friendly? Very! In fact they are designed to be SEO friendly. You can customise the meta tags entirely to your requirements. The mini sites integrate seamlessly with Google Webmasters and Google Analytics for detailed backlink and traffic monitoring.